We had a great time exhibiting at the Worlds Fair Nano in our first public demonstration of Oblix’s app for the Oculus Rift. 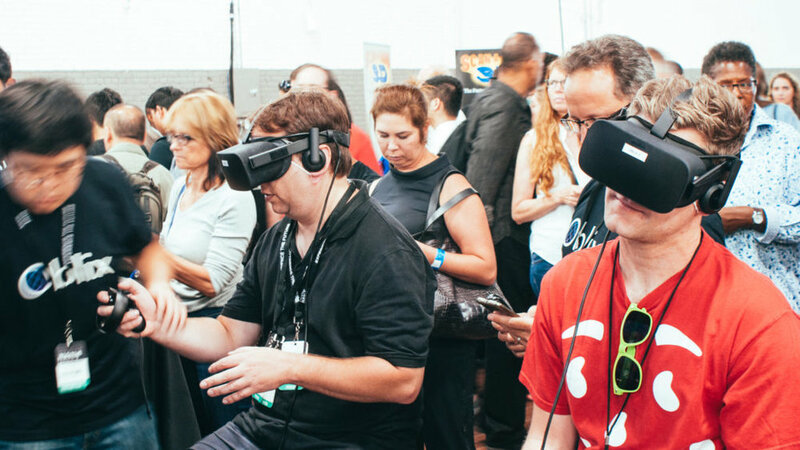 Over two days on the weekend of September 16th at the Brooklyn Expo Center, we had more than 250 people try our demo – and the response was surreal. Senator Tim Kaine, who delivered the keynote speech at the Worlds Fair Nano, even stopped by our booth to check out all the rave about Oblix (you can see the senator in-headset in the video above). Our demo was an early version of Oblix, and we’re planning to release a public beta by the end of the year. In this demo, participants could fly around a virtual recreation of New York City, and some even discovered a portal that launched them into a nighttime recreation of Paris. We want to extend a big thanks to our friends at Worlds Fair USA for putting on an epic event; we’re looking forward to participating in future Worlds Fair Nano and Worlds Fair USA events – and we hope to see you all there too! Two Worlds Fair Nano attendees enjoying Oblix’s demo using Oculus Rift headsets and Oculus Touch controllers. 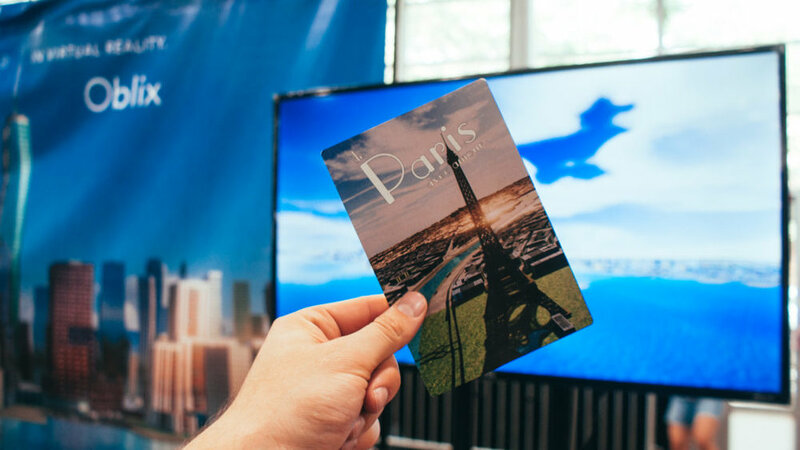 A postcard given away by Oblix with a screen capture from inside the experience. A large crowd of World Fair Nano attendees behind Oblix’s booth.